The 2015 Season Begins in Colorado! We are excited to kick off the 2015 season here at Reach Out to Horses. We have a good feeling about this year and we’re confident that you are going to love what we have in store for you. We are beginning our journey right here at home, in Colorado, with a full spring schedule. All the events have limited spaces available, and when we say space is limited, we don’t mean we have plenty of spaces, we mean, LIMITED! So don’t miss out! So much going on. Mark your calendar and join us! Anna and Reach Out to Horses Return for our 4th year in a row to the Rocky Mountain Horse Expo! 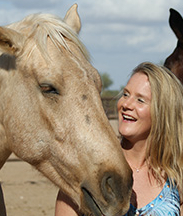 Anna is excited to be a featured presenter at this years Rocky Mountain Horse Expo. Join us as Anna shares some amazing insights for the forth year in a row. During her live demonstrations and lectures she will cover everything we teach here are Reach Out to Horses and the how’s and the why’s it applies to your horse! From Energy Work, to Animal Communication, to Anna’s Exclusive Gentle, Trust-Based Reach Out to Horses’ Methodologies, Reiki for Horses and more! You will get a taste of it all. She’s also been invited to be an expert in the Thursday “Ride with the Experts” workshops. And then, after you’ve been thoroughly amazed and inspired, join us at the Reach Out to Horses’ Booth where we’ll have all our courses and merchandise for you to peruse, ask Anna all your burning questions, and discover why ROTH is the most unique and comprehensive horsemanship program in world. For more information about Zuma’s Rescue Ranch visit happydogranch.org. Learn How to Speak to Your Animal Companions on a Level You Never Imagined! Spend 2 full days learning how to talk to your Animals… no… really. Through hands-on exercises, demonstrations and lectures, you will explore the amazing world of interspecies, telepathic communication, or “animal communication.” Using your inherit gifts, you will be able to telepathically connect and communicate with a being of another species. This two-way communication is accomplished not only with words, but with images, feelings, thoughts, emotions and other intuitive senses. Energy work can be a powerful and effective modality of healing, but for many, bringing it to their animal companions can be confusing or even dangerous. If you have an existing practice, how can you be sure of its effect on your animals? 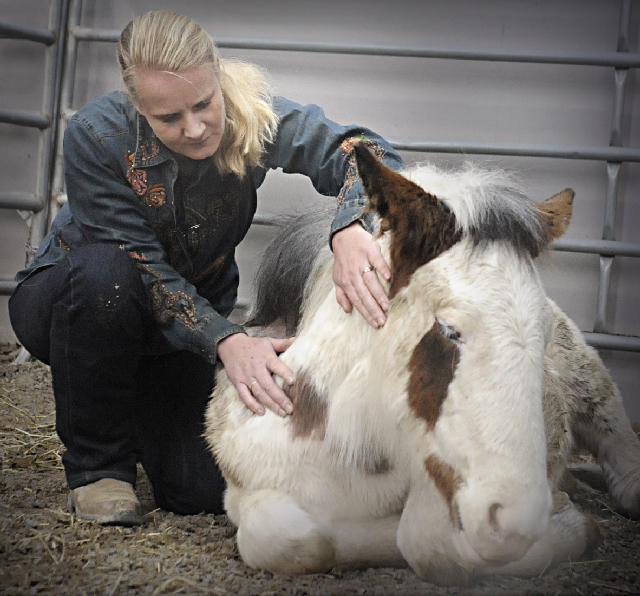 International Karuna Reiki Master, Animal Communicator and Natural Horsemanship Clinician, Anna Twinney, will guide you to bringing any hands-on healing modality to the animal world. Animals respond intuitively to the power of energy healing in healing emotional, mental and physical illnesses and ailments. It can also assist in resolving a myriad of behavioral issues, including and not limited to fear, anxiety, aggression, depression, neglect, starvation, abuse, separation anxiety, eating disorders, self harming, “acting out”, and more, as well as providing support for those in transition. Over the course of the day you will learn to receive clear direction in asking the animal’s permission, scanning for blockages, “love lessons”, the use of a pendulum for chakra balancing, and therapeutic oil selection, as well as healing hand placements and official closing of a session. You will also explore animal communication and discover how to incorporate it into your work from conversation, to seeing colors, receiving messages, tapping into intuition and body language. Regardless of the art practiced, energy healing is a perfect partner to animal communication, massage, acupuncture, and more, in the support of general health and well-being for humans and animals alike. Enquire about bringing your own animal companion(s) to class! hands-on, info-packed 2-days, you’ll find out why! Anna will introduce you to some of the most important elements in creating a bombproof equine partner through genuine trust-based training methods. Get the results you’ve always wanted but haven’t necessarily been able to achieve. If you are interested in creating or strengthening that genuine partnership join Anna for a weekend of fun and freedom with your horse. Previous postAnna is coming to Ottawa with a powerful weekend of animal communication!